PRWeek UK presents a video from our Best Places to Work Awards 2015 reception, hosted at the Westminster office of Ellwood Atfield. We also profile all 11 finalists - and discover what makes them the sector's best employers. Nationwide scooped the top spot because of its flexible working environment, focus on networking and strong development programme. Although based in Swindon, employees are offered the flexibility of working in London and are encouraged to spend time together locally, hosting regular Come Dine With Me dinner parties. Its vacation policy allows employees to buy extra holiday days, while unpaid leave is available. The team makes an effort to network with in-house teams outside Swindon and in other sectors. As part of this, it has started working with the PRCA and employees are automatically made a member. 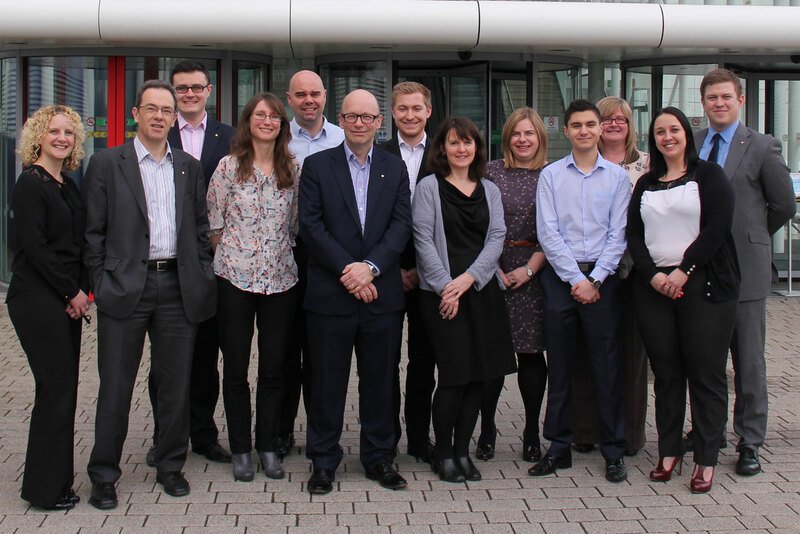 The in-house team has invested in a development academy specifically for its department. Last year saw the launch of an external affairs development scheme, which includes workshops and courses based on suggestions from the team. Staff can provide feedback on the department more widely in an annual survey, the latest of which showed that 100 per cent of the team felt Nationwide was managed effectively and run well. Outside the office, the 12-strong team is encouraged to spread company values in the community. Each team member has two paid volunteering days a year. This has included a charity PR workshop, teaching local charities about social media, reputational management and media engagement. Tech firm SwiftKey was commended by the judges for its non-hierarchical environment and facilities for listening to feedback. 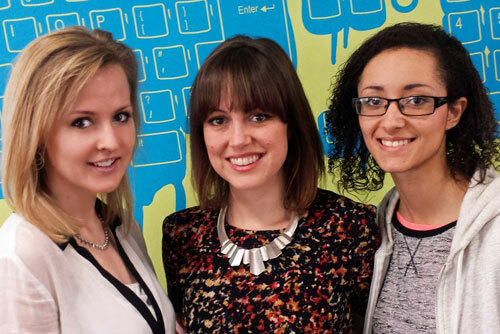 Although it recently hired an HR director to build on the informal training programme, SwiftKey, whose comms team numbers five plus two contractors, missed out on the top spot as Nationwide’s programme just had the edge. The team is integrated within the company, and involved in wider business decisions. Vice-president of global comms, Ruth Barnett, says PR is often "left out of the room until too late". She adds: "Some in-house teams can be seen as an appendage. Our company is more equal." Benefits include a cycle to work scheme, a £500 smartphone voucher, weekly team lunches and monthly innovation days where team members work on their own projects. Lansons was founded in 1989 as a business built for the future. More than a quarter of a century on, its progressive employment practices make it the deserved winner in the large agency category. The company, which employs 102 people, is unusual in the sector because it is a genuine co-operative. More than one third of the team own equity in the group, and this includes account directors and even one account manager. Overall more than 40 per cent of Lansons is owned by people other than founders Tony Langham and Clare Parsons. Judges were impressed by Lansons’ generous payment policies. A full one third of profits each year go on bonuses and incentives. There is a commitment to sharing the burden in the bad times as much as pooling the benefits in the good. Pay for board directors was cut by five per cent in 2009/2010 and did not grow for three years, but more junior employees did see their salaries rise. Lansons has a relatively low churn rate of 19 per cent and more than one third of the employees have been at the company for over five years. 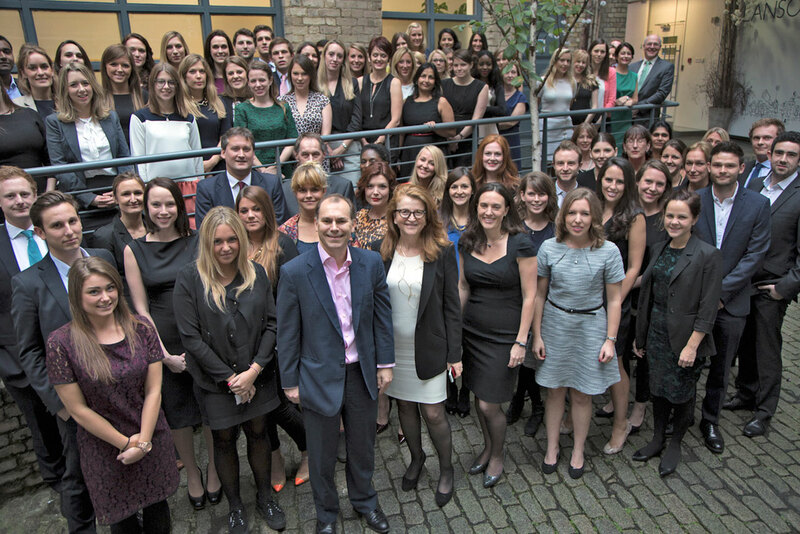 The agency offers a clear career path, with a focus on personal development and training; 37 per cent of those at account director level and above began as a trainee. Employees have praised the company’s "great ethos", its "myriad of opportunities" and its "sense of purpose". For the judges, Lansons’ approach points to a clear desire to put its people at the heart of the business and its long-term success. 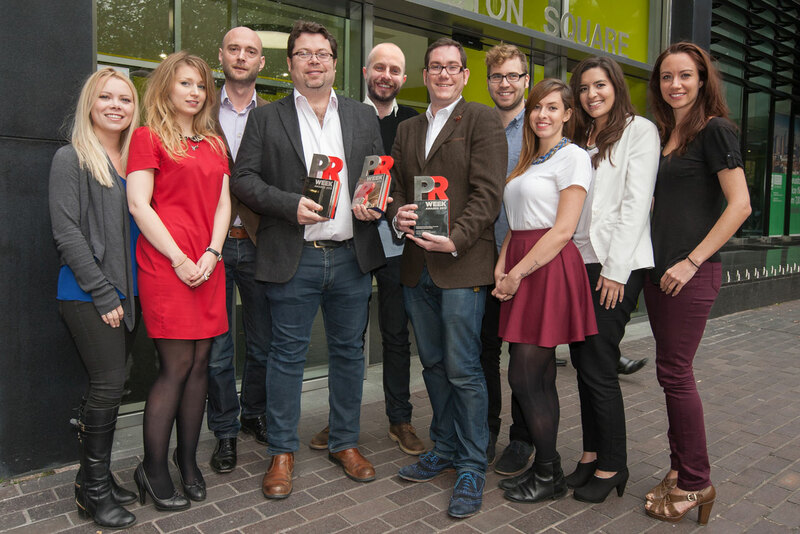 The Interpublic-owned agency, which employs 217 people in the UK, impressed across several areas. Its maternity practices were exemplary, encouraging mothers to ‘stagger’ their return to work and offering unpaid leave. The fact 90 per cent of new mothers have returned to the com-pany is testament to its success. At 22 per cent, the overall churn rate is below the industry average, and Golin has a policy of making extra effort to look after staff when they reach three years in the job – the time when they can often look elsewhere. Core staff benefits include private medical cover and birthdays off, but ‘softer’ benefits also caught the judges’ attention. These include free Friday breakfasts, the ‘summer Fridays’ policy, where staff can leave at 4pm in the warmer months, and vouchers for drinks at on-site pub, the Golin Lion. All staff are entitled to 24 hours of training per year. Last summer Golin reinstated quarterly peer group feedback sessions, resulting in financial management sessions for executives. The rebranding of College Hill as Instinctif one year ago has, the firm says, provided a "fresh impetus" to engage staff. It demonstrated solid progress despite the challenges of moving more than 200 members of staff to the new UK HQ in the City of London. Despite its size – the firm employs 400 people globally across 22 cities – Instinctif allows every employee to own equity in the business. In addition to the 80 partners, 30 per cent of the company is in the hands of staff. Internal comms initiatives include forums for staff and informal monthly ‘Richard’s Breakfasts’ with CEO Richard Nichols and members of staff. Every employee at partner level or below is paired with a senior colleague, giving them a platform to discuss issues away from their line manager. At 14.5 per cent, the firm has the lowest churn rate of any of the category finalists. Forster’s dedication to employee welfare and career progression, coupled with a desire to go the extra mile to let staff take ownership of the business, made it the standout candidate in this category. Thirty per cent of the company is owned by employees other than the three directors and Forster encourages all staff who pass probation to consider buying shares – the agency even offers a five-year interest-free loan to do so. Judges were impressed by Forster’s dedication to the work/life balance for employees through its ‘toil policy’, which ensures staff can claim back any extra hours they work. Line managers actively encourage them to do, meaning there is no taboo about the issue. A recent staff survey found 95 per cent were happy with the work/life balance. The agency, which has 30 staff, offers a thorough formal training programme, including fortnightly ‘lunch and learn’ sessions run by internal team members and external experts, which are used for setting goals. New starters receive ten hours of training over the first two weeks. The maternity policy is also admirable. Anyone with the company for more than three years will receive full pay for 20 weeks, followed by 19 weeks at the statutory level. Forster is currently reviewing its policy to incorporate new shared parental leave regulations. Throw in perks like free breakfasts, birthdays off, and up to two-and-a-half days of additional annual leave based on journeys walked or cycled to work, and it adds up to a winning culture. "Enlightened leadership and management is what sets us apart," says CEO Charles Tattersall (pictured). The Manchester-based agency, which has 62 employees, was praised for its forward-thinking app-roach to talent. Each team member is involved in deciding things like training, new business targets and resourcing under a devolved structure. New training modules and a coaching programme have been introduced following staff feedback, and a minimum of £1,000 worth of training per head is delivered each year. Impressively, Citypress’ interns also have access to the learning and development programme. Interns are paid above the minimum wage, and at the London living wage in the London office. The approach has tangible benefits – more than ten interns have been recruited by the firm on a permanent basis in the past two years. Another laudable fact is that around 15 to 20 per cent of profits are redistributed to employees. Despite being a very impressive entrant, Citypress remains a ‘work in progress’ on two areas – the maternity/paternity policy is under review and there are plans to allow staff to own a stake in the agency – meaning it just missed out on gold this year. How many PR agencies can boast they brew their own beer? W certainly has some novel perks for employees: others include an annual £500 cultural bursary (including group visits to art galleries) and members’ club membership for senior staff. There are some solid policies underpinning the more headlining-grabbing ones at W, which employs 50 staff and enjoys a low annual churn rate of 12 per cent. The agency has an impressive system in place for comms with staff. Company news is communicated weekly during Friday ‘download’ sessions in the on-site W bar, which is also a chance for the teams to showcase the best work they have done. There is an ‘open door policy’ that encourages junior team members to speak to senior staff, and the junior board meets regularly to feed back employee suggestions. Dynamo wowed the judges with a highly entrepreneurial and innovative approach to looking after its employees. The consumer tech agency, which is in its fourth year, takes inspiration from the US, offering staff unlimited holiday – a model developed by Silicon Valley companies such as Netflix. 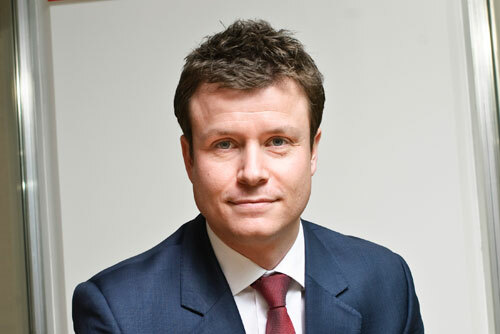 Co-founder Paul Cockerton says: "It’s a two-way street that requires trust – make staff the decision-makers and in return they deliver the best result for clients." Every member of Dynamo has a contract containing a unique perk – aka the Don Draper clause, named after the ad man star of Mad Men, who is known for indulging in a tipple at work. This ranges from chocolate to cult TV series and beauty treatments. Employees have access to share options in the business and receive a ten per cent share of post-tax profits after passing probation. Instead of using a government pension scheme, Dynamo hired an independent financial adviser to create its own system. The agency also runs a paid internship programme. Dynamo, which employs 18 people, is part of the Government’s Growth Accelerator programme, which has helped to involve staff in key decision-making. Four senior members and a team of advisers contribute to the agency’s overall strategy, with other team members feeding into the business plan. Last year staff went to Copenhagen for a company review. 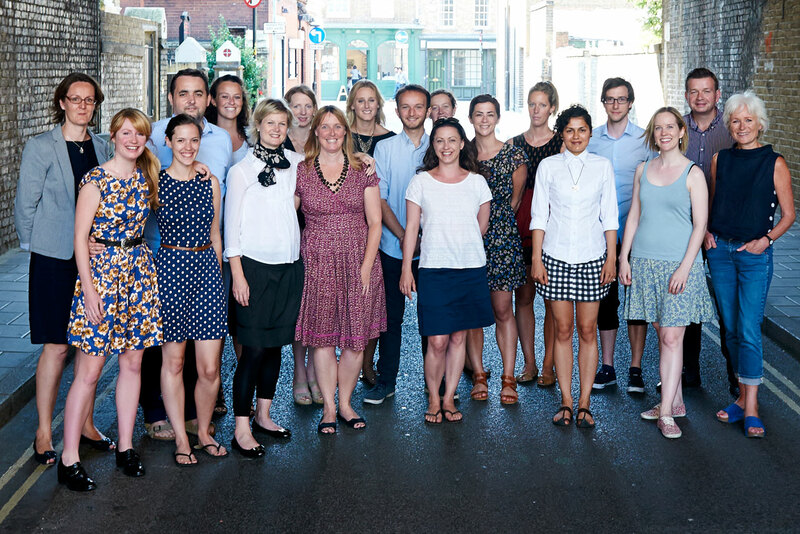 A budget of £2-3k is assigned to each staff member per year for training and everyone at Dynamo is offered the choice of becoming a member of the PRCA or CIPR. Dynamo is clearly on to a winning formula, with not one person leaving the company last year. 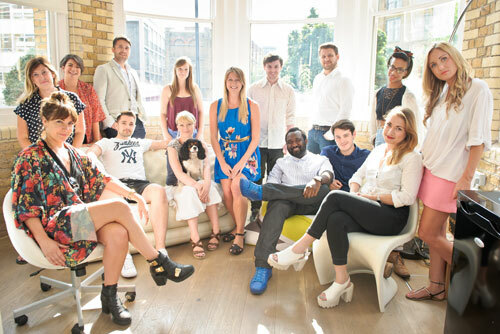 The Brighton-based agency missed out on the top spot, having been crowned winner for the past five years. Man Bites Dog spent an impressive £4,000 per head on training during 2014 – with much of this match-funded by the Government through its Growth Accelerator service. The business, which employs 29 people, continues to operate a ten per cent annual profit share scheme and will offer wider share options in 2015. Last year an operations board was set up to involve staff in business planning. Each employee has a bespoke personal development plan and just one person left last year. A third of staff are parents, making flexible working a priority, with access to iPads and laptops. 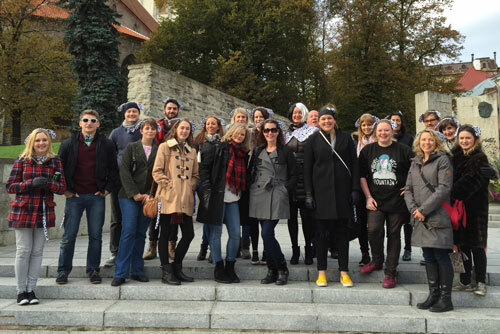 Each year an all-expenses-paid European weekender takes place; 2014 was spent in Tallinn. Regular social events such as Thank Dog it’s Friday and Dog’s Dinners keep Man Bites Dog ahead of the pack. Third place goes to Manifest whose close-knit culture stood out with the judges. A monthly movie club and drinks with clients – #ThursdayClub – creates a family feel at the heart of the agency. Each year there is a training budget of £12,000, including one-to-one mentoring for individuals struggling to progress. Manifest has its own diploma specially designed for staff members to rise up the ranks. 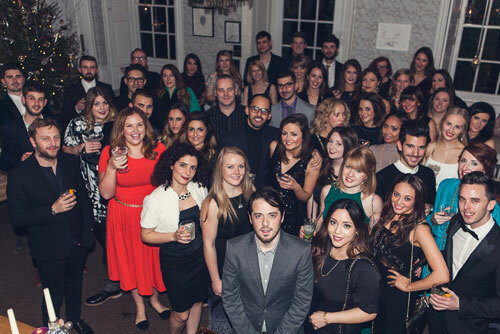 The agency has hired every one of its interns over the past 18 months. Staff receive benefits geared towards a work/life balance, including Spotify subscriptions, a cleaner and an art or gym pass. 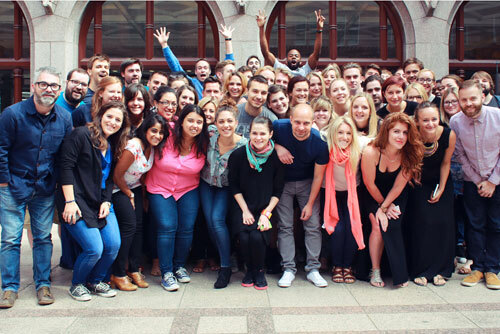 The agency, which has 17 employees, is looking to offer employee shares next year. Last year’s ‘Manifestival’ took place in Palma, to discuss budgets, strategy and ideas. Flexible working is encouraged through apps such as Harvest and Yammer. Award entrants raised £2,200 for the National Society for the Prevention of Cruelty to Children (NSPCC) by taking part in the awards. PRWeek asked each agency or in-house team to donate at least £50 to enter. The NSPCC offered "a big thank you" to all who gave generously. The judges were: Francis Ingham Director general, PRCA; Danny Rogers Editor-in-chief, PRWeek; Dr Jill Miller Research adviser, CIPD.